We all know what we eat is only half the battle to a healthy weight, what we do is the other half. This same concept also holds true for our pets. 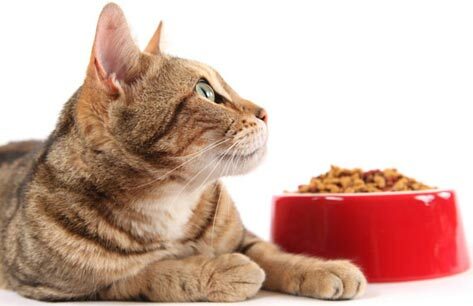 Although a reduction in the fat and calories taken in by our pets can make a BIG difference to their waistline, often it is not entirely enough. The benefits of exercise are not just a leaner physique; just like in people exercise can increase flexibility (with proper stretching) and mobility, which are good for the joints. Exercise is good for the heart which helps your pet live a longer life and of course it can make your pet feel better. Exercise also helps your pet expand energy which can be beneficial to reduce unwanted behaviours at home like chewing on or scratching at the furniture or bothering the other pets. It can seem fairly simple to exercise the dog, but what about the cat? or other pets in the household? The following information (in blue) on exercise for dogs, cats and exotics is taken from www.healthypet.com. We have also included some additional tips of our own. Keep a close eye on your dog: watch for any unusual signs of fatigue or trouble breathing. If your pup wants to stop, let him. Dogs that overdo it can suffer strained tendons or ligaments or other orthopedic problems. Don’t expect your fuzzy buddy to be a weekend warrior, even if you only get exercise on the weekends yourself. After a long week without exercise, your dog may be ready to get out and burn off energy. But because of their enthusiasm, many of the popular breeds, such as Labrador and Golden retrievers, will overdo it. Safety first–keep Rover on a leash when you run. Even the best-trained dogs can run into the path of a car or a territorial animal. And if you have to run when it’s dark out, put reflectors on your dog’s collar as well as on your clothes. Concrete and asphalt are tough on the paws, especially on hot days. Try to run on dirt paths or grass as much as possible. Gravel, cinders, and road salt can also irritate paws. Take it easy in extreme weather. If it’s freezing cold or hot and steamy out, either keep your run short or play a little indoor fetch instead. The more active your dog is, the more water he’ll need. Make sure he has plenty of fresh water before and after your run. If you’re going for a long run, take some water along for him. If your dog is getting bored with running or walking, take heart: there are other ways to get him the exercise he needs. A 15-minute game of fetch makes for a good workout. Supervised play with other dogs is a good option too. If you have the time and your dog has the inclination, you could even try some specific dog sports such as agility, flyball or other breed related activities such as retrieving, nosework/tracking, carting or obedience. If you’re interested, check our website for links to local clubs. 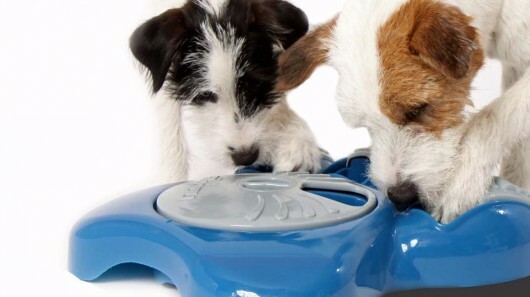 Another activity that can be done with dogs (especially when the weather outside isn’t co-operating) or even for cats, is to get an interactive food game where the animal has to search and work to find the food or treat within the puzzle or they have to move the toy around to get the food to come out. Many people will put treats in these containers however you could easily put your pets meal portion in the container instead of treats. Cats can make laziness into an art form: snoozing in the afternoon sun, stretching a little before they plop down on your lap for the night. But as immobile as they seem, they still need to get up and moving on a regular basis. Cats are a bit different than dogs, however–they’re designed for short, frequent periods of intense activity, rather than longer, slower-paced exercise sessions. Things she can bat. Anything light that moves easily across the floor can give your cat a chance to practice hitting and chasing. Balled up pantyhose and paper work well; for some reason the rings that come off of milk jug caps also seem to be irresistible. Just make sure that she’s not batting anything she could chew up or swallow. Things she can chase. The end of a moving string should bring out the predator in even the most sedentary cat. Again, just make sure she doesn’t swallow the string. Things she can explore. Empty boxes and paper bags may get your cat to climb in, out, and on top. Things she can scratch. Scratching stretches and tones the muscles in your cat’s shoulders and back. A scratching post–or even a piece of cardboard or carpet–can keep her active without shredding your sofa. Whatever game you play with your cat, don’t use your hand or fingers as “bait” or as the object of teasing. This teaches him that it is all right to scratch and bite your hands–a lesson you will want your cat to unlearn in the future. The key is to find out which kind of toy is the most tempting to your cat and to use it consistently. You may have to try a lot of different activities before you find your kitty’s favorite. Some cats can even be trained to walk outside on a leash. In the cage. Some pocket pets and birds can get plenty of activity with toys inside their cage. The well-known hamster wheel is an excellent way for hamsters, gerbils, and rats to burn off extra energy. Also, most pet stores carry sections of plastic pipe that you can attach to your pocket pet’s cage for extra running room. Climbing ladders and hanging mirrors and bells can help keep birds active and moving around their cage. Letting them out. If it can be done safely and you can watch him closely, letting your exotic pet out of the cage is an excellent way for him to stretch and move his muscles. If your pet is small enough, you can put him in a “hamster ball” and watch him roam. Some larger animals like rabbits, iguanas, and birds can safely explore your living room if you watch them carefully; be particularly watchful for rabbits, guinea pigs, and the like chewing on electrical cords. Getting fresh air. Building a small, securely covered outside pen may be a good idea if you have an exotic pet. Most larger exotic animals–including rabbits, guinea pigs, hedgehogs, snakes, iguanas, and turtles–will enjoy some time in the sun and the grass, provided they are protected from predators. You’ll just need to make sure they’re always supervised and that your lawn hasn’t been treated with any chemicals. Swimming. Believe it or not, swimming can be great exercise for reptiles. Many snakes and lizards are thrilled to slither or paddle around in a few inches of water. Because they carry salmonella, reptiles shouldn’t swim in a bathtub or swimming pool used by people. Instead, you can buy a children’s wading pool and keep it just for your pets’ use. Making them fly. If you have an overweight bird that refuses to fly, you’ll need to coax him to walk and to move his wings. One trick to get him to flap is to hold him on your arm and move that arm up and down; he’ll move his wings to keep his balance. Going for a stroll. With training, some rabbits and iguanas can actually learn to enjoy walking on a leash with a harness. Whatever their species, animals’ need for exercise is just as vital to their health as their need for shelter, good food, and clean water. For help in designing an exercise plan for your pet, contact your veterinarian. Essentially, if you can think it, you can probably do it, with your pet. Just for fun we have included this very popular youtube video of a girl with her cat doing agility and other assorted tricks. Think maybe you can do these with your cat? or maybe with the dog? Check out other videos from Suki’s owner to see how some of these things were taught.